Season 5 is set to air this October. If you’re obsession is following you like a zombie in the night, we’ve got the answer for you. Spoiler alert! Season 7 is heating up with life-changing decisions and Seminole Hard Rock Tampa is on board. Try these slots out for your chance at your very own life-changing experience. 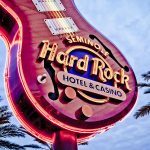 Seminole Hard Rock Tampa offers a shot at Florida and New York. Who says you can’t have the best of both worlds? Mystery solved. The nine season sitcom is a favorite for many. Seminole Hard Rock Tampa caters to the old school players and this Millionaire Mile is endless.